Beckett Jude Rupp was born December 28, 2012 in Fort Wayne, IN to Jonathan & Leah Rupp (Jonathan is the son of Doug & Linda Rupp of Archbold, OH and Leah is the daughter of Steve & Carol Whiteley of Upland, IN). He weighed 6lbs 10ozs and was 19in long. This beautiful little boy was born with a heart defect known as “Hypo-plastic Left Heart Syndrome” (HLHS). HLHS is a condition where the left side of Beckett’s heart isn’t able to adequately supply blood to his body. It is treatable, but requires three open heart surgeries by age 2 (the first at birth, the second at 6-months, and the third at 2-years). Beckett has undergone his first surgery and is still in recovery at a specialist hospital in Indianapolis, IN. By the time Beckett was 15-days old he had already had 8-procedures. Miraculously though, Beckett is getting better and God has been gracious to him. 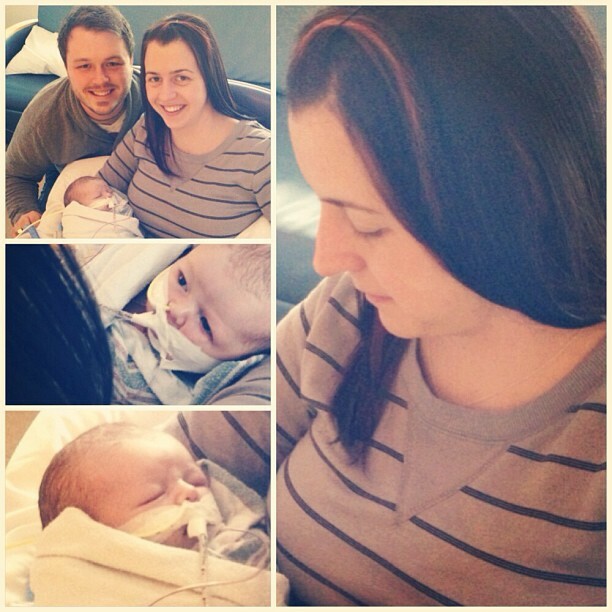 We’re praying for God to continue to do His miracle work in Beckett’s life.